Since 1897 Sackett-Waconia has been on the cutting edge of the Fertilizer Industry and always a leader in technology and innovation. With over 200 patents, equipment on 6 continents and in over 60 countries, 4 manufacturing plants, and joint ventures in Brazil and South Africa, we continue to provide state of the art technology and support throughout the world. 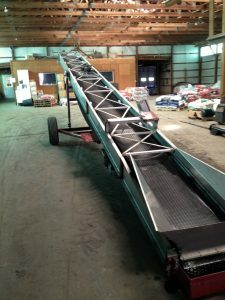 Sackett-Waconia loadout and portable conveyors feature a 304 stainless steel formed channel design, industrial drive components, lagged pulleys, PVC cleated top belts, and either our TriGlide or TriRoll style idlers depending on the model. 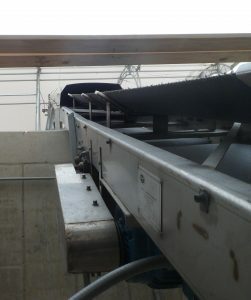 Loadout conveyors feature weather covers, a hooded discharge, and telescoping dust spouts. 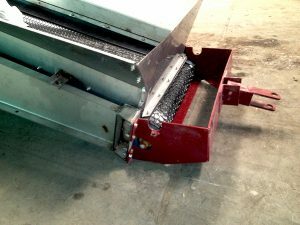 Portable conveyors come in 2 models with 18” or 24” belts, are towable, and feature adjustable incline for variable discharge heights. 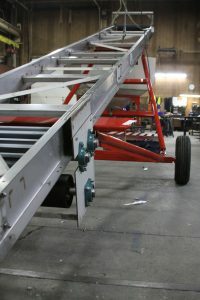 For rail car unloading, we also offer the UOB - “Under Car/Over Track” model. 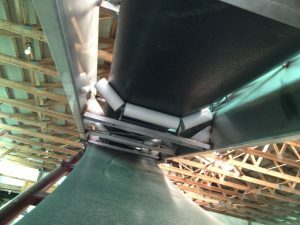 UOB conveyors feature a low-profile feed section to fit between a track and rail car discharge gate, adjustable discharge elevation, and are balanced to be moved by one person. 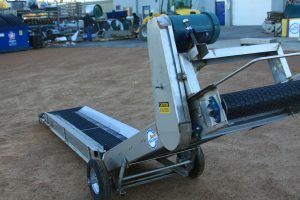 Sackett-Waconia Loadout and portable conveyors are versatile and have many uses within the fertilizer industry. 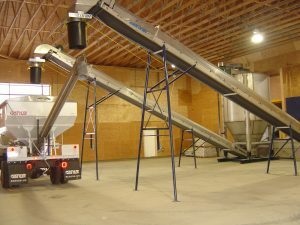 Whether it will be used for the discharge of a blending system, unloading a rail car or truck, or loading material into a hard to reach place, we have an option to fit your need. 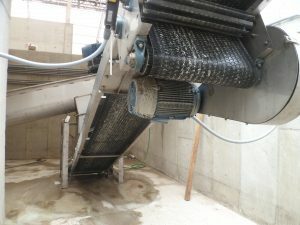 Capacities range from 90tph to 240tph, and conveyors over 36 feet in length feature under-slung drives for accessibility.